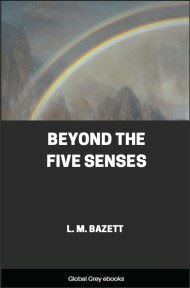 Chapters include: Telepathy; The Sensitive And His World; The Working Of The Inner Sight; Seeing The Dead; Links Between The Living And The Dead; The Atmosphere Of Olden Days; Indications Of Our Larger Destiny; Seeing Into The Future; Seeing At A Distance; Healing And Clairvoyant Diagnosis; and, Death And The After-Life. INVOLVED as we are in the midst of a materialistic age, when many are asking whether there may not be another and truer view of the universe, perhaps it is not out of place to present this little book, which claims no particular scientific knowledge, yet approaches life from the ‘supernormal’ viewpoint, which is as yet unfamiliar to most of us. The importance of what is contained here lies in the fact that it is a record of direct and varied experience of a psychic character, touching the fringe of a number of profound questions, such as the problem of Time, and Telepathy, and including possibility of contact with what we generally speak of as the Life Beyond. G N M Tyrrell, writing in his early book, Grades of Significance, says, “We accord to the universe of our senses the same central importance that our ancestors accorded to our plant.... Our dualistic habits of thought make spirit the antithesis of matter, and the whispering voice of commonsense suggests that it is the antithesis of true reality as well. There are many who shrink from the suggestion of any real existence beyond the world of sense, and many more who habitually live as if there were none. They are afraid of other values, because to know them would mean to have to live by them. Even those who repudiate materialism on formal philosophical grounds yet live in practical accordance with its outlook, and accept a picture of the world which is reminiscent of the maps of ancient times. In the centre is placed the continent of the world of sense, and all around it is filled in with a vague ‘supernatural’ sea. Uneasy glances are cast at this, and the map-maker is given the instructions: ‘Where unknown, there place terrors’ (Tyrrell, Grades of Significance). The old terror that surrounded the gaining of new knowledge is breaking down in our world, and the present outlook is more inclined to include life as a whole. The fear of these unfamiliar experiences, some of which are related here, is partly accounted for by the fact that we isolated them from normal life, terming them magical, bordering on the pathological, and so forth. They were tinged with sensationalism. The psychic powers are embedded in the very fabric of the personality, and function as naturally and easily as any other adequately developed faculty. They will probably form part of the general mental endowment of the future. The person so gifted is not in any sense a magician, and can only reach out a little further than his fellow-men when it comes to seeing ahead in time, or diagnosing illness, or perceiving what lies beyond the five senses. Yet he, because of his direct experience, is able to contribute something towards the penetration of the mysteries which surround human existence. 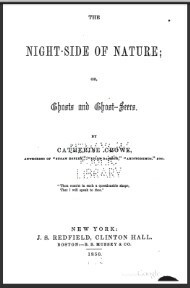 To those unacquainted with these things, some of the fragmentary observations in this book will seem unimportant; by others who have studied the subject, they will be recognised as significant indications of some natural law as yet imperfectly understood. Some points come within the realm of psychological study; others, again, touch upon the past, and suggest a line of continuity in the history of mankind, recoverable to a limited degree by other ways of exploration than those of recognised historical research into the past. Some again - and here we frequently touch upon strong prejudice - seem to point to the assumption made by many scientists and others, that mind can reach mind after the dissolution of the physical body; and, in fact, that the Dead live, and may have some touch with, and influence, upon, this earth which they have left. 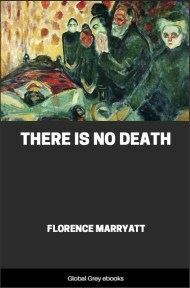 There will be some readers who will approach this volume from the recognised religious standpoint.